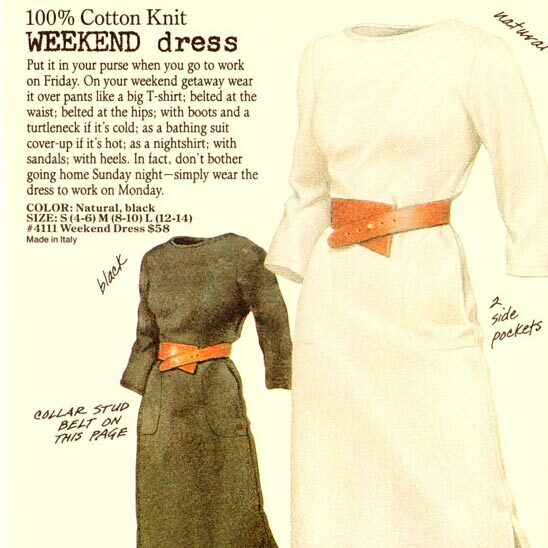 I was delighted when the WordPress robots told me about Cynthia Closkey’s recent post about the Banana Republic “Weekend Dress” that was inspired by my upload of the Soviet Safari Catalog. I love the fact that she and a commenter both have such fondness for dresses that they don’t think were very flattering on them. Check it out at My Brilliant Mistakes. I’m glad you liked my post, and I’m even gladder that you have created this site. I used to read the BR catalogs like novels. I’m glad to be able to relive that. Thanks, Cynthia, it’s my pleasure. It was especially nice to read some perspective from a female BR fan, this blog tends to focus on what I know. Same here. I was as interested in the stories as much as the clothes. And I bought all this stuff. Bought it, wore it, used it, loved it. Still wearing a pair of button-fly jeans, held together with duct tape and repaired many times over with fusible web fabric stuff. Wearing ’em right now. Namaskāra (reaching down to touch your feet and clasping hands together in front of you). 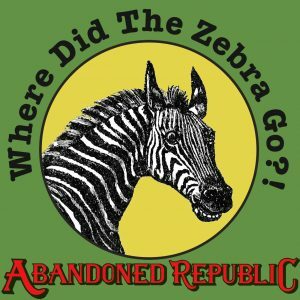 I was a customer of Banana Republic in the second half of the 80s. I absolutely loved their stuff. What I don’t understand is why no one has thought to resurrect something like this, since a generation has passed since the last time something like this was available (25+ years). Today’s generation has not had the experience of shopping at such a store, nor wearing these clothes. The only stores I’m aware of is TravelSmith and Tag Safari (the latter being an absolute niche store – that is pretty much all the clothing they have, but it is good quality, long-staple cotton professional safari clothing that wears well: I’m one of their customers). Oh, the sight of that catalog page, is so nostalgic. I loved BR, and was so disappointed when it sold. I told one of the Gap employees, how they ruined it. Did not make a hit with him. But thanks for this. I still have one of the scarves illustrated above.